Spiders can be a nuisance in and around your home. 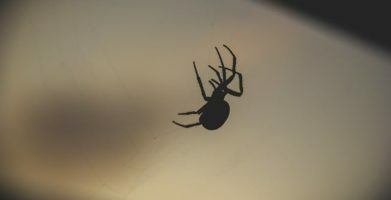 While spiders may not do as much damage to your property as some pests do, they can certainly be annoying and even dangerous. Certain spiders are venomous, and their bites can cause severe reactions. These reactions are usually most severe in children or the elderly, or people with compromised immune systems. It is no wonder many people are looking for a way to keep spiders away from their homes. There are chemicals and pesticides that can kill spiders, but these are often dangerous for your family and pets; and not environmentally-friendly. The best way to keep spiders from making their home in YOUR home, is to keep a clean house and use safe, natural spider repellents. A good way to prevent spiders from getting into your home, is to make sure you don’t have an environment around your house that attracts spiders. Spiders often make their homes outside in plants, piles of leaves or wood, or dark undisturbed places like old tires or buckets. Having these things right next to your house makes it more likely that a spider will wander in. Create some distance between these things and your house, to make it less likely that a spider finds a way inside. Identifying and sealing possible entry points is also important to keeping spiders out. This could involve sealing small holes or cracks with caulk, and making sure doors and windows close tightly without any gaps. It would make sense to clean up and use spider repellents before you seal up any cracks, to make sure any unwanted guests make their exit first! Some web-building spiders tend to make their home high up in the corners of the ceiling. Take a look around, often these webs can be sucked up in a vacuum cleaner or at least knocked down with an extending duster. Setting spider traps around your home lures spiders using an aroma that is pleasant to them but may not be nice for humans or pets. You also need to dispose of the traps when they are spent, an often unpleasant task as they can be full of dead spiders. Spider traps usually won’t completely eradicate your spider problem, either, as they don’t contain any insecticide or spider repellent. While spider poisons sometimes use an aroma to attract spiders, it is often necessary to remove the spiders’ food source before this method is effective. Once spiders do take the poison, they often don’t die immediatley but instead return to their shelter, leaving numerous dead spiders around your home. Insectacides are often harmful for kids and pets. It is not unheard of for a curious dog to ingest a poison and need immediate medical assistance. Spider infestations are often less obvious than other pest problems. Many spider species prefer to hide out in dark undisturbed places, so a little searching might be required to locate them. The best way to get rid of spiders is to make your home as unappealing to them as possible. 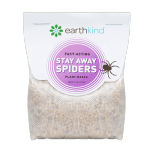 Spider repellents (like Stay Away® Spiders) deter spiders from staying in your home by emitting a scent that spiders dislike, but is safe and pleasant to humans. This can be an important step in ridding your home of spiders for good. 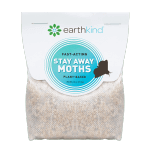 An effective strategy would involve removing inviting habitats from around your home, cleaning thoroughly, placing natural repellents, and then making sure the house is well sealed. If you take these steps, spiders will quickly identify your home as an impossible place to live, and you can enjoy a spider-free home! Spiders can be a nuisance in and around your home. While spiders may not do as much damage to your property as some pests do, they can certainly be annoying and even dangerous. Certain spiders are venomous, and their bites can cause severe reactions. These reactions are usually most severe in children or the elderly, or people with compromised immune systems. It is no wonder many people are looking for a way to keep spiders away from their homes. There are chemicals and pesticides that can kill spiders, but these are often dangerous for your family and pets; and not environmentally-friendly. The best way to keep spiders from making their home in YOUR home, is to keep a clean house and use safe, natural spider repellents. A good way to prevent spiders from getting into your home, is to make sure you don't have an environment around your house that attracts spiders. Spiders often make their homes outside in plants, piles of leaves or wood, or dark undisturbed places like old tires or buckets. Having these things right next to your house makes it more likely that a spider will wander in. Create some distance between these things and your house, to make it less likely that a spider finds a way inside. Identifying and sealing possible entry points is also important to keeping spiders out. This could involve sealing small holes or cracks with caulk, and making sure doors and windows close tightly without any gaps. It would make sense to clean up and use spider repellents before you seal up any cracks, to make sure any unwanted guests make their exit first! Making sure that your house is clean is generally a good way to decrease the number of pests in your home. In the case of spiders, not only will a clean home provide fewer places for the spiders to hide, but it will also make it less likely that small insects will be around for the spiders to eat. Without a reliable food source, and with fewer hiding spots, it will be harder for spiders to stay. Some web-building spiders tend to make their home high up in the corners of the ceiling. Take a look around, often these webs can be sucked up in a vacuum cleaner or at least knocked down with an extending duster. Spider traps usually won't completely eradicate your spider problem, either, as they don't contain any insecticide or spider repellent. While spider poisons sometimes use an aroma to attract spiders, it is often necessary to remove the spiders' food source before this method is effective. Once spiders do take the poison, they often don't die immediatley but instead return to their shelter, leaving numerous dead spiders around your home. 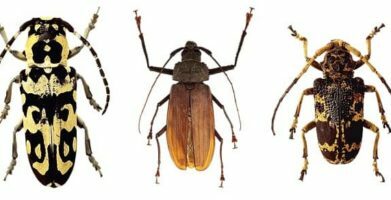 Insectacides are often harmful for kids and pets. It is not unheard of for a curious dog to ingest a poison and need immediate medical assistance. Spider infestations are often less obvious than other pest problems. Many spider species prefer to hide out in dark undisturbed places, so a little searching might be required to locate them. The best way to get rid of spiders is to make your home as unappealing to them as possible. Spider repellents (like Stay Away® Spiders) deter spiders from staying in your home by emitting a scent that spiders dislike, but is safe and pleasant to humans. This can be an important step in ridding your home of spiders for good. 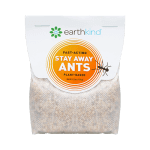 An effective strategy would involve removing inviting habitats from around your home, cleaning thoroughly, placing natural repellents, and then making sure the house is well sealed. string(63) "How to Get Rid of Spiders from Your Home Safely and Permanently"